Sixteen-year-old Jacob's boring life is completely turned upside down when his grandfather is mysteriously killed. He swears he saw a horrible monster attack his grandfather, but no one believes him. Jacob decides it is time to take his grandfather's crazy stories seriously and seeks out Miss Peregrine's Home for Peculiar Children. He is determined to uncover what happened to his grandfather and what is going on with all of these students who are unlike any people he has ever met before. I think I'm one of the last people to read this book. Since coming out six years ago, it's been a very popular choice for teen and adults looking for a bit of a creepy tale. The cover draws you right in, and Ransom Riggs used strange photographs throughout to add to the story. I am sad to say I found myself in the minority of readers who didn't love it. (Minor Spoilers Ahead!) The concept is so interesting: a group of people stuck in a time bubble where they repeat the same day over and over and those people happen to have special, magical abilities. But the idea never went anywhere, the writing didn't transport me into the story, and the characters fell flat. This story would be a good choice for someone looking for a book that is just creepy enough to count for a Halloween read without keeping you up all night, though. One night, Miranda and Eliot's mother is away on a trip. Eliot turns to his sister and tells her that they cannot sleep; if they sleep, their mother will die. Surely enough, when they wake up the next morning, their mother has been killed in a faraway act of violence. The children and their father attempt to live a normal life going to school and operating the family bed and breakfast. But there is a dark current running through their home--Miranda wastes away as she refuses the food her father prepares in favor of chalk and plastic. And the house itself is determined to protect Miranda, even at the cost of the people around her. If you have read anything by Helen Oyeymi, you know that she excels when writing about the strange and supernatural. 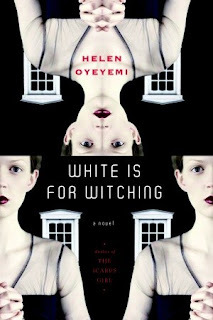 It's not unusual for a reader to not be 100% sure what is going on and that is true for White is for Witching too. The book rapidly switches narration between the siblings, a friend you don't meet until halfway through, and the house itself. White is for Witching is rarely terrifying but it is always eerie. It's bizarre and unsettling and shows how powerful and fascinating Oyeyemi is as a writer, even in her early stories. 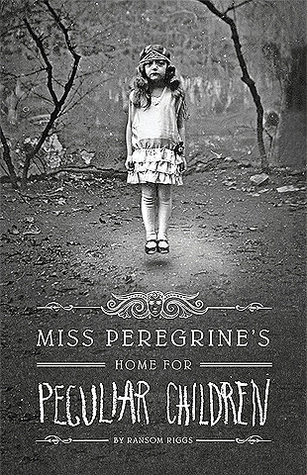 I liked the first Miss Peregrine's book, but I get what you're saying. I felt that way about the 2nd book in this series...they go and go and never get any where. I didn't enjoy that one, and will probably never read the third one. I didn't feel bad about reading it because I wanted to see what everyone was talking about. Like you, I just didn't feel compelled to keep reading. I've not read Miss Peregrine's yet either! But I'd like to read it and then watch the movie. I'm sorry to hear it didn't live up to the hype for you.